You may have noticed a new badge on my sidebar recently? I have recently become a MAMA academy ambassador and I am thrilled to be supporting this fab charity! Educating expectant mums and on health in pregnancy, complications and how to reduce the risks of stillbirth. Assisting healthcare professionals by keeping them up to date with the latest practices, guidelines and research to provide consistent maternity care. The MAMA academy team consists of various mums and healthcare professionals whose passion is to educate to help see the numbers of baby loss decline. If their information can help save just one baby then all the hard work will be worthwhile. As you all know I recently gave birth to my little girl and I had such a positive pregnancy. I felt fully supported by all the midwives and health care team I came in contact with. My labour was an equally positive experience! I am so pleased to be part of the MAMA team to help aid mums to be hopefully have an equally positive experience! 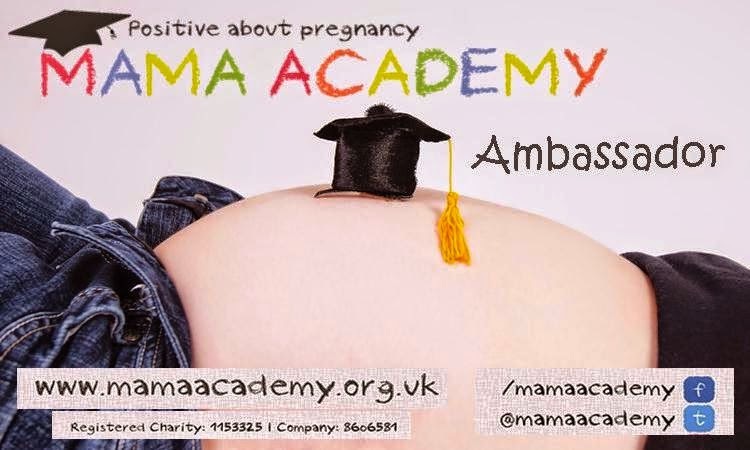 The MAMA academy website offers great helpful information for both mums and midwives and really is worth a taking a little bit of your time to pop over and have a read if you are currently thinking of getting pregnant or currently expecting. You will see lots more posts from me about this great charity in the near future so keep an eye out for them! Aw what a great post and opportunity! Congrats! It sounds like a great initiative. Any help to make pregnancy and labour a more positive experience should be welcomed with open arms. I hope you really enjoy collaborating with such a worthwile charity. I can't wait to see what you get up to with them.